The Health & Self Club is a student-run club at Indian River State College. Meetings and events take place at the Pruitt Campus Library, unless otherwise noted. All IRSC students are welcome to join or come to any of the events or meetings. For more information, please look up Health & Self Club in RiverLife, Facebook, or inquire at the library for more information. 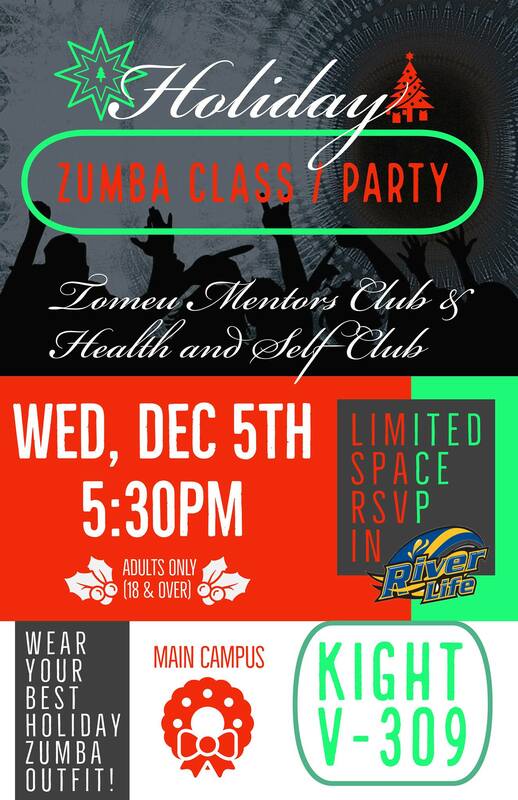 Join the Tomeu Mentors Club and the Health and Self Club for a holiday themed Zumba class/party. This event is open to the all students, staff and guests, 18 and over or dual enrolled. Don't forget your festive Zumba outfit!